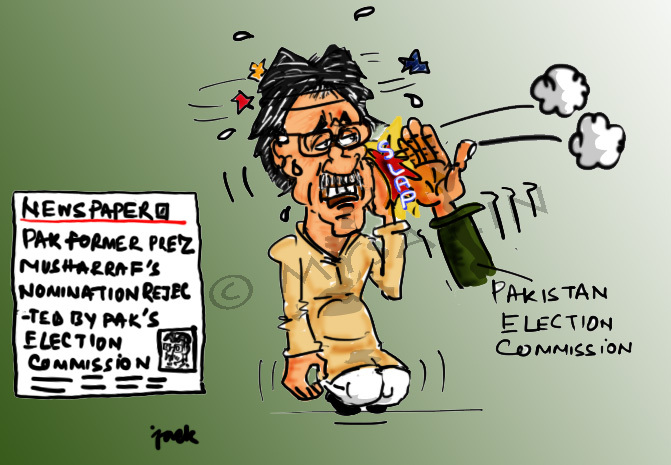 Musharraf’s nomination papers for a parliamentary constituency in Pakistan’s Punjab province were today rejected . The reason was his signature mismatch with the one on his identity card . is it ?? well.. thats a breather … i was doing the last minute tayloring to let it fit the website header perfectly and here comes an appreciation from the Good Omen herself !! thank u again ! !